As a famous movie once said: "... and now for something completely different". Long time listeners will know that Earth Mantra works hard to keep a fairly tight focus on the styles of music that we release. In general, we restrict ourselves to that ever-nebulous label 'ambient music', which of course itself comprises dozens of subgenres and the innumerable fusions that they spawn. But unlike many netlabels, perhaps, we do not include downtempo electronica or so-called 'chillout' music in our definition of what ambience is. Typically, we draw the line where drum machines or other formal beats enter in. As a result, Earth Mantra releases a lot of different forms of music, but nearly all of it is beatless, falling somewhere under the ambient umbrella, at least as we have defined it. However, we have been known to make exceptions to this approach, when the circumstances demand it and the quality of the music justifies it. 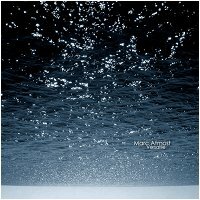 This release, a remarkably cool and well-constructed collection of ambient downtempo pieces, is one of those exceptions. Versatile, the debut release by Ukrainian electronic alchemist Mar’yan Kitsenko, who records his chillout pieces under the name Marc Atmost, is a collection of undeniably rhythmic and marvelously sublime chillout pieces. But with work as captivating and as tasteful as this, we found it impossible to say no, despite the slight detour from our usual genre focus. Folks, it has been a long time since an album grabbed us this hard and refused to let go. Calling the music in this album 'catchy' is an understatement; the music is absolutely compelling in its subtlety and instant gratification. But after listening to this music so many times, we can also confirm that it easily stands the test of repeated listens, with innumerable details awaiting discovery with each hearing. This is just one of those collections of music that your ears will want to hear, time and time again. Mar'yan reports that the album is an amalgamation of various thoughts and reflections about both physical and metaphysical elements of the universe. He has always had strong visual associations in what he hears, so his music is always an effort at making a precise sound projection for these ideas and images. Mar'yan has been working on the tracks in this album for nearly four years, a collection of new and old compositions intentionally mixed together "... so that it would seem like several people were involved, but it was just me making the mental concept stick to the music. Each track has its own separate line and dedication, and that was the main reason to call it Versatile". The music is indeed quite diverse in its various approaches, with some pieces almost completely beatless and others extending almost into a hip hop feel, but the common threads that bind them are twofold. One is that every piece openly embraces ambient music, using it as a device as part of the overall composition, which is of course what allows Earth Mantra to release this album in the first place. The other is a truly sleek and hard-to-define electronic aesthetic; despite Mar'yan's efforts to make it sound like multiple musicians were involved, all of the tracks on Versatile show off his distinctive musical voice, a delightful sheen of almost sly competence that is a lovely finish to the entire album. One can almost imagine the artist grinning and winking at you while he perfoms this music, daring you not to bob your head or tap your foot in time to the irresistable music. We'll admit it: he had our head bobbing from the first time we heard it, and we think he'll similarly ensnare you. So it is with great pleasure that Earth Mantra welcomes Marc Atmost to our roster of artists, with his alluring and addictive album Versatile. We don't plan to make many such format detours in the future, but we are definitely interested in hearing more out of Mar'yan Kitsenko. Truly clever and invigorating music that we are proud to bring to our listeners, beats or not. It doesn't matter that this album isn't 100% ambient, as it is an interesting listen in and of itself an a great departure. One can get as captivated with this as with ambient and forget that there's beats in the music at all.